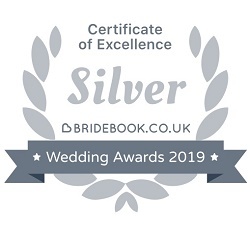 Tenterden is described as the 'Jewel in the Weald' and I'm lucky to have provided a wedding DJ service to several venues including the Little Silver Country Hotel, St Michaels Village Hall and The Great Barn. I've been working on behalf of the Little Silver Country Hotel as a wedding DJ here for several years and truly love every wedding I attend here. I usually setup in the Kent Hall where the top table is and therefore have to wait until the meal has finished and the guests have moved outside (or the organgery if the weather isn't that great) for coffee. Access is easy as I can load in straight through the fire exit at the side of the hall. Hidden away down a country lane, this converted barn offers an idealic Kent countryside location. The DJ setup location is on a stage just off the main area so that I can setup in advance or during your meal. There is a sound limiter at this venue which does restrict the volume I can play, so if you want loud music you'll need to factor this in. Situated just off the A28, St Michaels Village Hall is an easy to get to venue with all the usual facilities you'd expect from a village hall. There's ample parking around the back and even with a small marquee setup for the hog roast there was still plenty of space. The stage provides a perfect place to the disco to setup, which could be done in advance or behind the curtain while you're eating.